If your hosting requirements exceed the services offered by your shared web host or you need more control over the hosting services, the best solution would be to go for a managed virtual private server (VPS). Not only does it give you more root access, but you also have the freedom to install any type of software you want. You also get to choose the right configuration that caters best to your requirements and growth. Veeble, a major player in the Web Hosting Industry since 2009, offers you high quality managed VPS hosting with 99.9% uptime. We provide the best hosting plans that guarantees optimum performance at very affordable prices. With a wide variety of hosting options available nowadays, such as free hosting, shared hosting, dedicated hosting and VPS hosting, finding the right hosting solution for your websites can be both confusing and tough. If you are planning to build a website to boost the revenue and profits of your business online, but do not have the expertise to manage the hosting issues, then choosing managed VPS hosting is the best thing to do. In fact, if you are a newbie, then dealing with an unmanaged virtual private server is not only time-consuming, but also a complex issue. So if you want to achieve the best uptime, performance, and security for your website, we suggest you choose Veeble’s managed VPS hosting plan. We’ll take care of everything so that you can use your valuable time to focus on other areas of your online business. For an unmanaged VPS account, you will need to know how to do everything with Command prompts. If you are technically good with Linux, an unmanaged VPS server will offer you more control and will be cheaper. But if you don’t know anything about Linux, and you want everything to be the same as your shared cPanel environment, you should go for managed VPS web hosting. In the simplest terms, managed VPS hosting means that the hosting provider takes care of all your server related issues. 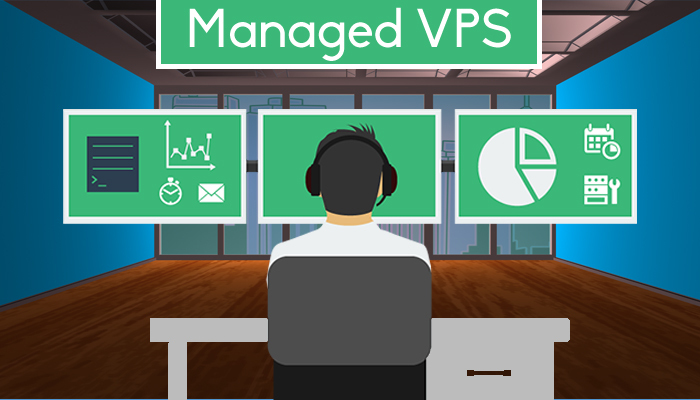 Although you have full root access and control of your VPS hosting, managed VPS hosting also provides you with the service of experts who help keep your virtual server running smoothly. Unlike shared web hosting,where the hosting service is fully carried out by your provider or a dedicated server hosting, where you have the full control, managed VPS hosting gives the responsibility of the complex and time-consuming server management process to your VPS hosting provider. This allows you to focus on other important matters of your business. So if you don’t have the expertise to configure your server space properly to achieve your business needs or if you feel that the time spent in managing server issues could be used more productively in managing your business or elsewhere, contact a managed web hosting solution provider like Veeble that can help make your hosting needs easier and smoother. They are many great choices and each one has top quality features. 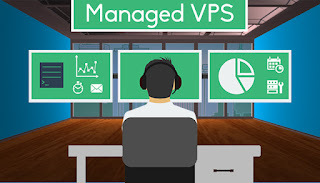 While unmanaged VPS hosting packages offers you complete customization and is great for tech savvy webmasters, I strongly recommend choosing a managed VPS hosting services if you are not that familiar with web hosting and how to manage your own VPS server. I say this simply because managed VPS hosting offers considerably better performance and reliability than shared web hosting or managed. It is the best way to go if your website has outgrown a shared hosting account and you need to upgrade to something better, but you might not necessarily be all that technically savvy.